Baby Lock Anna Sewing Machine, with several convenient features such as a 4-step buttonhole, free arm and side thread cutter, this machine is perfect match for beginning sewers. Turn to Anna for mending, hemming and even crafting projects. 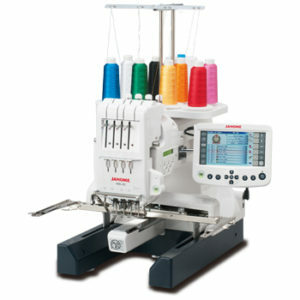 Free-Arm Sewing ~ For sewing in hard to reach areas like sleeves and pant legs. Stitch Selection ~ With 15 stitches, you won’t have to sacrifice variety for portability. Convenient Thread Cutter ~ Cut thread in one simple step with the convenient thread cutter. Built-in four-step Buttonhole ~ The buttonhole foot will help you make perfect buttonholes every time.